Sloop rigged. Length 12.65 meter, width 3.8 meter, draft 1.75 meter. Malaysian registration. The ideal cruising Yacht. Constructed in steel 1990. First owner. The Yacht is very solid built and the Cabins are beautifully made from Mahogany wood. Best maintained, absolutely seaworthy, fully equipped and ready to sail. 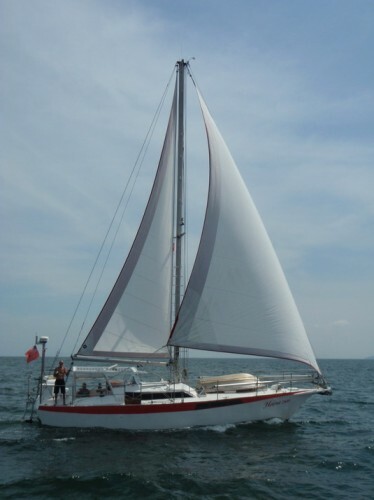 The Yacht was built with safety and comfort in mind: Full covered Cockpit, Sail handling from the Cockpit, rigid and high Reeling, double Shrouds and Stays to the Top.